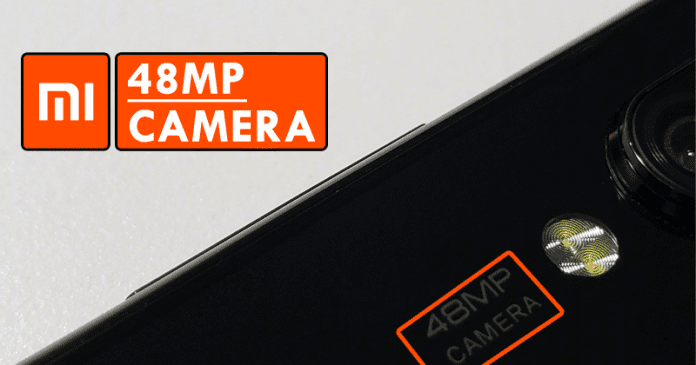 According to the latest reports, the well-known Chinese smartphone manufacturer, of course, I am talking about none other than the Xiaomi who is developing a smartphone that will have a 48MP resolution rear camera. The announcement was made recently on the well-known Chinese social network, of course, I am talking about Weibo. The well-known Chinese smartphone manufacturer, of course, I am talking about none other than the Xiaomi who is developing a smartphone that will have a 48MP resolution rear camera. The announcement was made recently on the well-known Chinese social network, of course, I am talking about Weibo. However, the most interesting thing about this is that the announcement arrived shortly after the South Korean giant Samsung and Sony present their camera sensors with exactly the same maximum resolution. Moreover, the presentation of the device did not uphold the traditional ritual of the launch of smartphones since it contains one image only. A detail that may be the main feature of this unknown Xiaomi smartphone, of course, undoubtedly I am talking about the number of megapixels of the camera. But, there is still no information is available that how many cameras and what features this unknown Xiaomi smartphone will bring. However, after getting details about the camera power for now at least it is clear that this unknown Xiaomi smartphone will be none other than a flagship smartphone. The only extra information that was shared with the photo is that more news will be presented in January next year and the well-known Chinese smartphone manufacturer, of course, Xiaomi’s president, of course, Lin Bin is already using the smartphone. While we all know very well that the well-known Finnish company, of course, Nokia was the last company that was still in the megapixel race when it brought to the world the great cameras of PureView, a range that had its height in the Lumia 1020 and its camera of 41 megapixels. Basically, the main idea of the Finnish company Nokia was not exactly to capture gigantic images, but the ability to crop the photos and thus apply digital zoom in as much detail as possible in a lower-resolution photo. One feature that comes with both Samsung and Sony camera sensors is that they can group pixels to let more light in, without necessarily working with lenses that are too light – which are far more expensive than f/2.0 lenses. So, what do you think about this? Simply share all your views and thoughts in the comment section below.